Choose a Best battery saving App is not an easy task. There is a lot of apps available in App store who claims that they can improve and manage your phone battery life, but you can not trust them all. Some of them are useful and different from others. 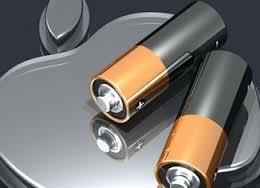 Today we are here to help you, we are providing you the Best Battery Saver And Management App For iPhone. So, You don’t have to download the unnecessary battery saver app for iPhone. Let’s take a quick look at the app which can really save your battery life for and keeps your phone running for a long time. Battery Doctor is a free battery monitor and energy saving tool for mobile devices. Battery Doctor allows users to quickly look up battery charge status as well as track down what apps and processes are draining the most battery life. You can quickly toggle between the settings like brightness, WiFi, GPS, Bluetooth and mobile data through its widget. This app will also tell you how long your battery going to run and if you want to save more then there is also an option for that. This app is made for particular battery saving that’s why this app is popular. There is also an additional feature to define power saving profiles and automatically schedule them. Battery Life Pro is also one of the most popular battery saver apps for iPhone. This app is available in Apple app store and tells you detail information of your battery life. This app offers you a lot of functionality like you can change the color, light, clock ant many others. You can switch between setting through this app like Bluetooth, wi-fi, 2G or 3G mode. So it makes the easy to manage the battery life. The battery is the another good app for iPhone. Some people want only limited options like this app. The Battery is the app which only tells you about your battery info like how much it is charged and how long it can run and some other options. You can not access your setting through this app. System Status Lite app offers you the current battery charge percentage and also how much time it takes more to charge. There is a lot of options you see like in this app you will see your memory you used and free also. This app also shows you how much your CPU usage. So you get an idea of your phone performance. There is many options you can find this app, so it is not only battery saver app it more than that. Battery Manager is also one of the best apps to save your battery life. The latest version of this app comes with more functionality. Now you can control those apps you want to access when your phone battery is not charged. So you can select any app you want and same as deselect also. There is also a battery saver mode so whenever you feel your battery is not charged you can on that. These are the Best Battery Saver And Management App For iPhone. All apps are different and from each other. You can install any of them and use also tell us which you liked the most and why. If you are using any other app apart from the above then tell us we will love to add them.